I’m out doing a morning walk, seeing a little bit of the city and what do I see? 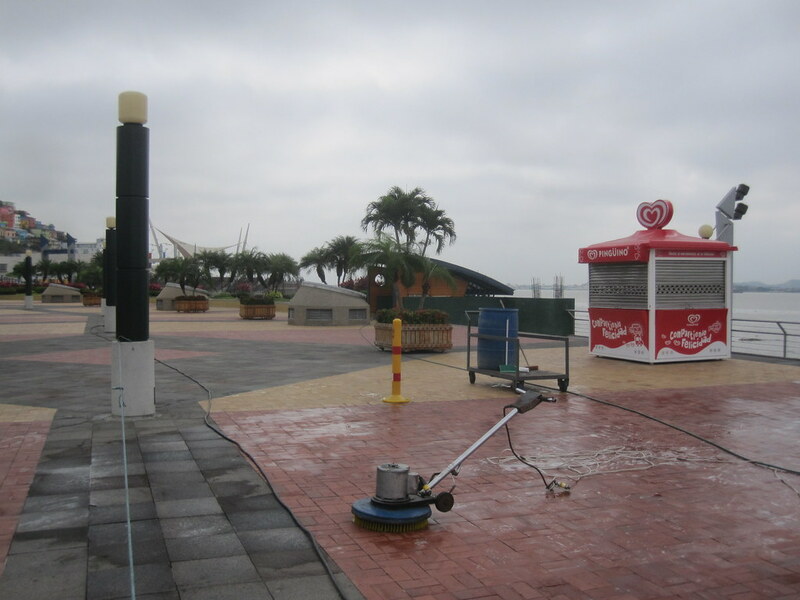 I see a guy with a scrubber and he’s scrubbing the sidewalks at Malecon 2000 at daybreak. I’ve got to say that it was the first time I’ve ever seen a guy with a scrubber doing the sidewalks. South Americans like their parks and they keep them well maintained.